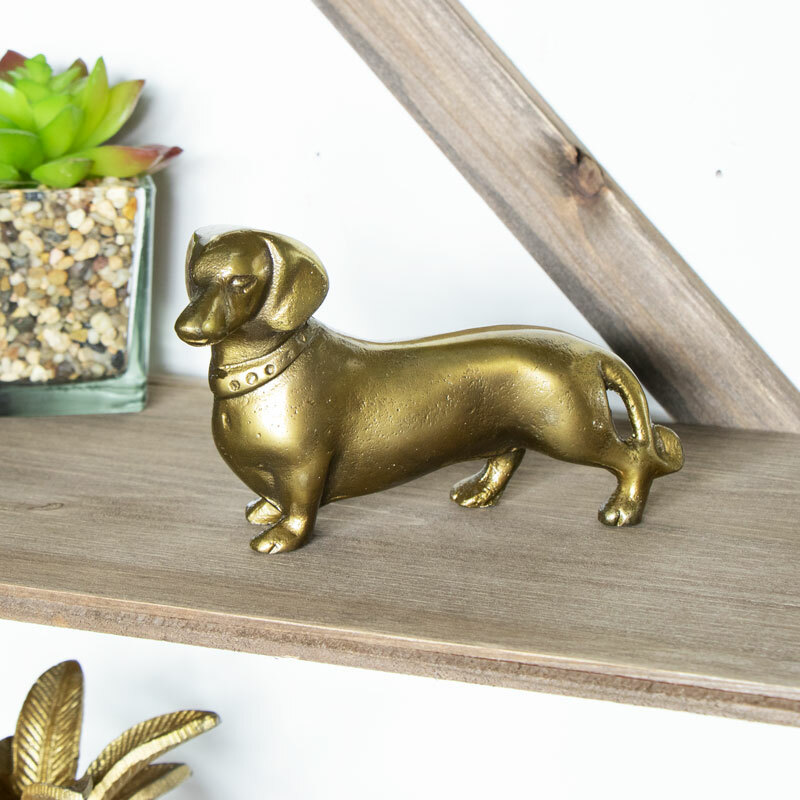 Who doesn't love a Dachshund!This makes such an adorable decorative Dog Ornament. 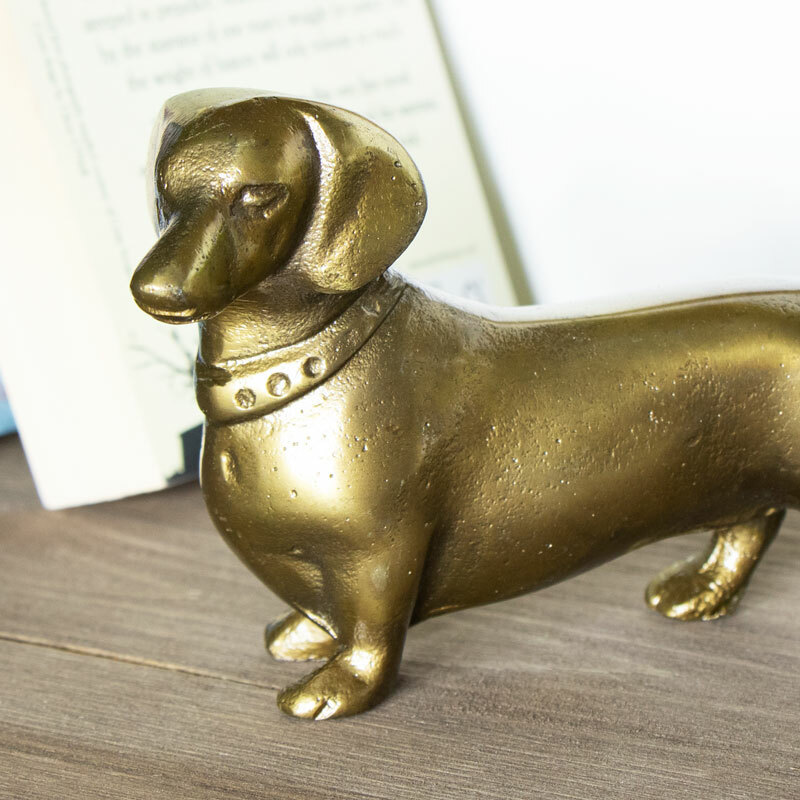 Made from metal and finished in a quirky brass effect. This makes the perfect accessory to sit proudly in your living room or dining room. A Perfect gift for any animal lover or mans best friend lover! Detailed with a collar and ears this little pal really looks the part. Looking for something a little but different? We have gift ideas for animal lovers or just gift ideas in general in our store! Be sure to check them out.